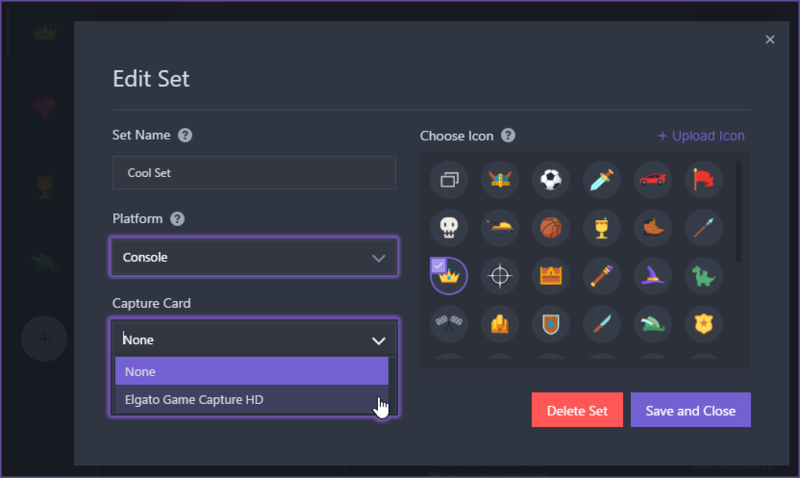 To stream consoles such as Xbox or PlayStation 4, you will need extra hardware such as a capture card to transfer your gameplay to your PC. Note: The Player app currently supports USB 3.0 and internal capture cards. It currently does not support USB 2.0 capture cards. 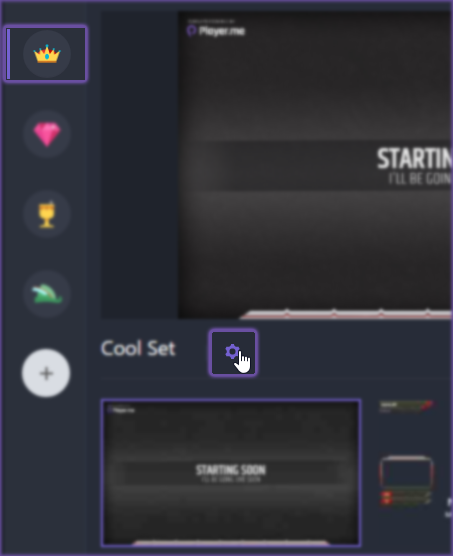 You can do this by clicking the (Gear) icon next to a Set’s name. In the Edit Set window, set the Platform as Console and the Capture Card as the Capture device name. This will update the Game Source widget in every Scene within the Set to the capture card’s feed.